RestOn: this app monitors and analyzes your sleep quality. It measures sleep time, heart rate, respiratory rate, body movement, and more. BodyEcho: a sleep tracking solution that uses sensors to track sleep stages, disturbances while you are asleep, heart rate, breathing changes, and more. ThinkPillow Smart Pillow: a smart pillow that knows the best time to wake you up. The system monitors your sleep and suggests ways you can improve it. Withings Aura: this smart sleep monitoring system gathers data and provides light and sound programs. The sleep sensor that you sleep under your mattress monitors your sleep patters, body movement, and heart rate. 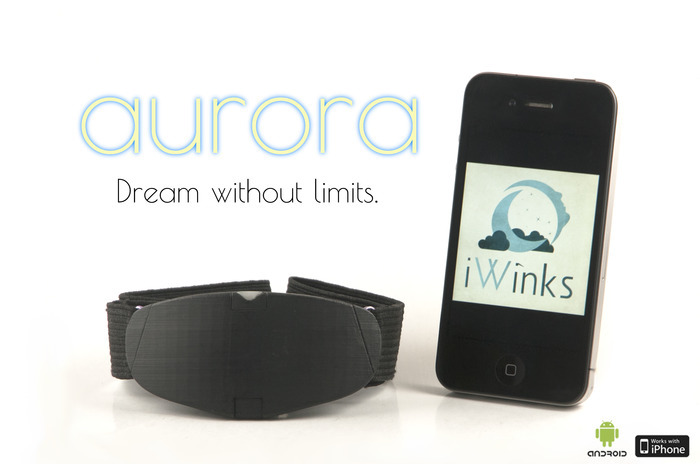 Aurora Dream: this headband is designed to help you with lucid dreaming. It uses lights and sounds to enhance your dream. Sense: designed to track your sleep behavior and monitor your environment to wake you up in the morning at the right time. It combines your sleep patterns with data from your environment, including noise, temperature, and humidity. Sleep Number X12 Smart Bed: one of the smartest beds money can buy. It is an adjustable bed that relies on SleepIQ technology to measure the quality of your sleep. Its sensors work directly with DualAir technology inside the bed to measure your average breathing, movement, and average heart rate. Which one of these sleep trackers are you impressed with the most?